the quality of the programme and institution so that you can choose the most suitable offer in terms of optimal "cost/benefit" ratio. a European, internationally oriented, independent agency for quality assurance and quality development in higher education. 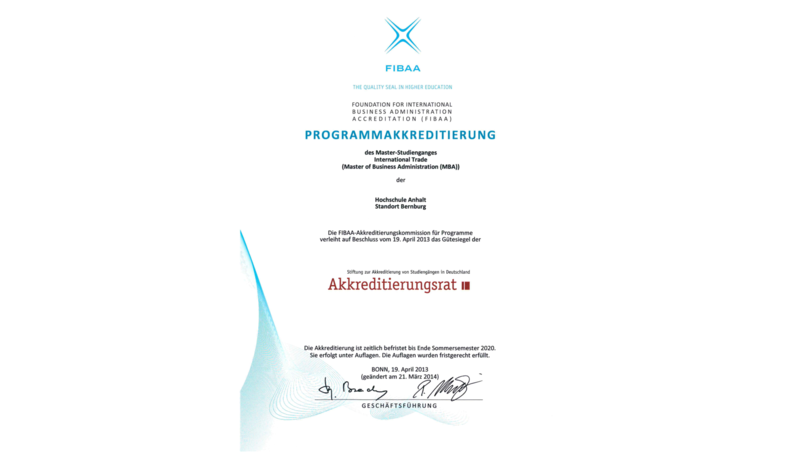 What does this Accreditation mean for you? a re-accreditation in 2013. The current accreditation is valid till 2020 when the next re-accreditation is scheduled.